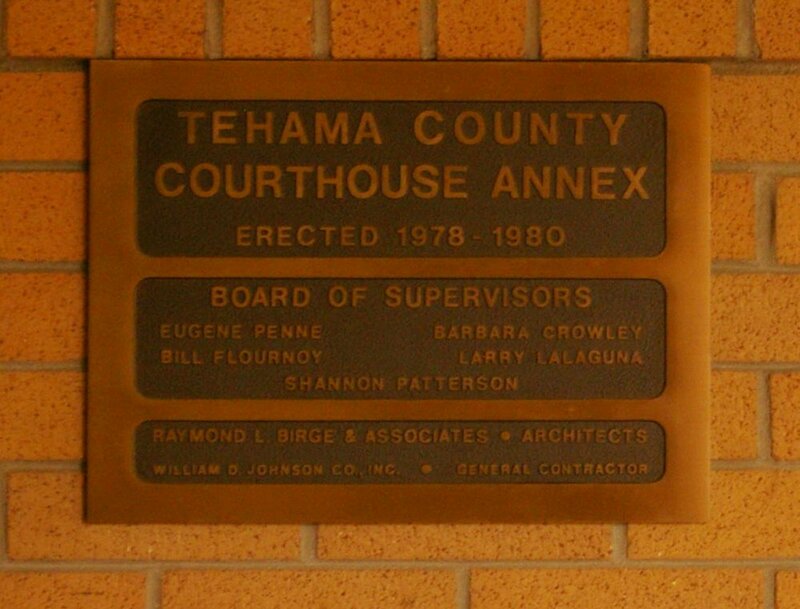 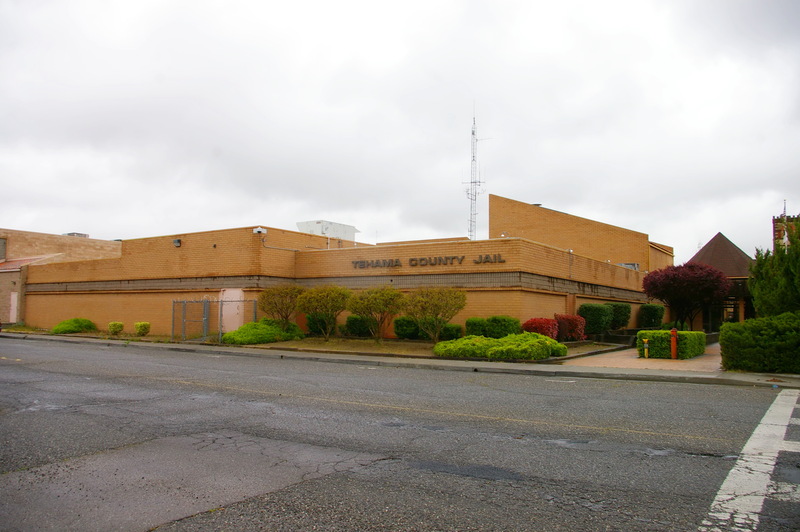 Tehama County is named for Tehama, who were a local Native American tribe. Description: The building faces northeast and is a two story red colored brick and stone style structure. 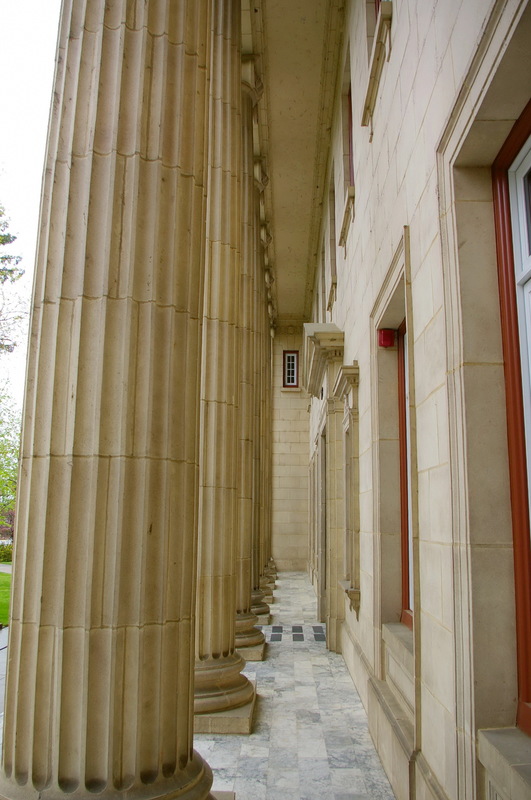 The east front has a large porch with eight columns rising to a wide header. 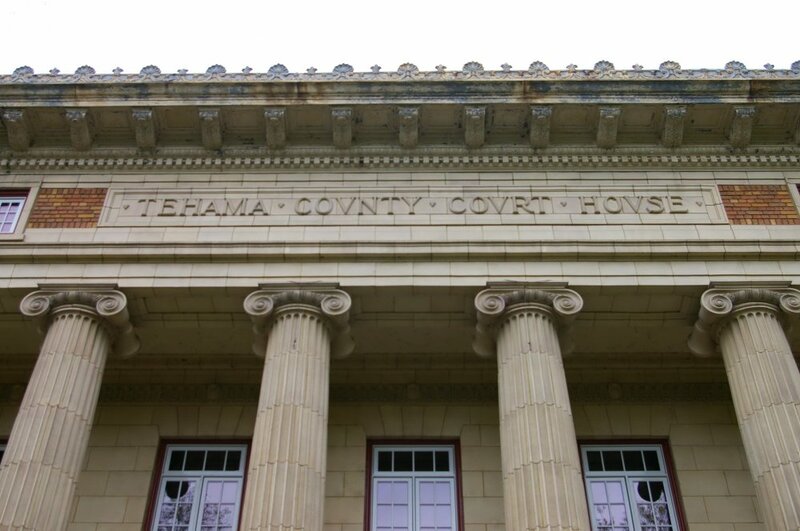 The recessed entrance has a small pediment above the door. 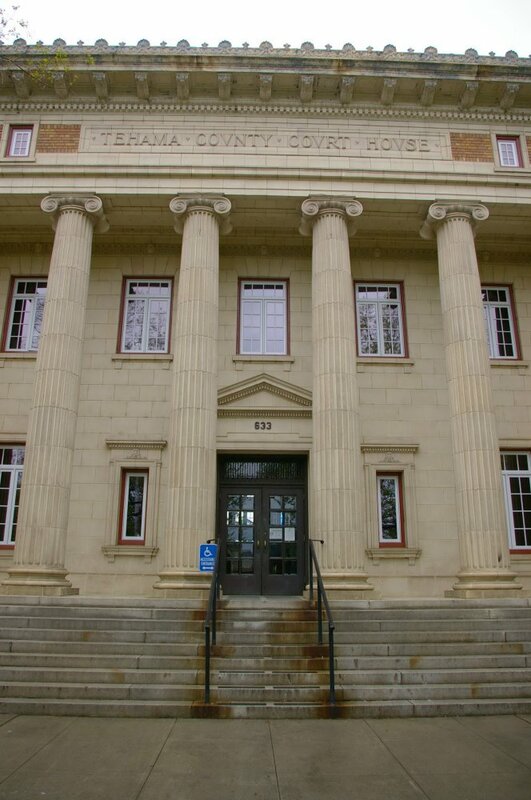 On the north and west sides of the courthouse is the County Courthouse Annex consisting of two story red colored brick and concrete structures constructed from 1978 to 1980. 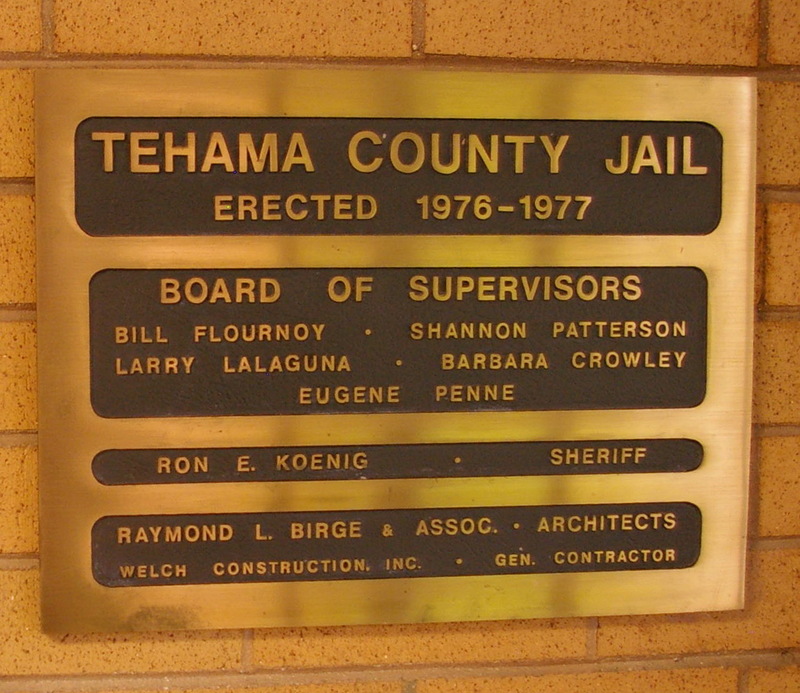 The architect was Raymond L Birge & Associates and the contractor was William D Johnson Company, Inc. On the west side is the County Jail which was constructed in 1976 to 1977. The architect was Raymond L Birge & Associates and the contractor was Welch Construction, Inc. 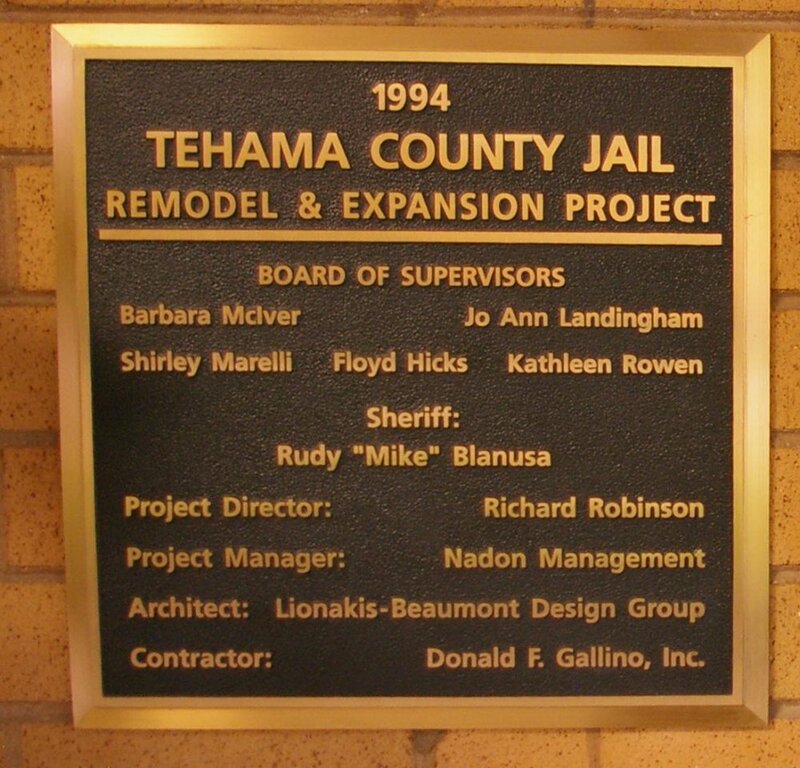 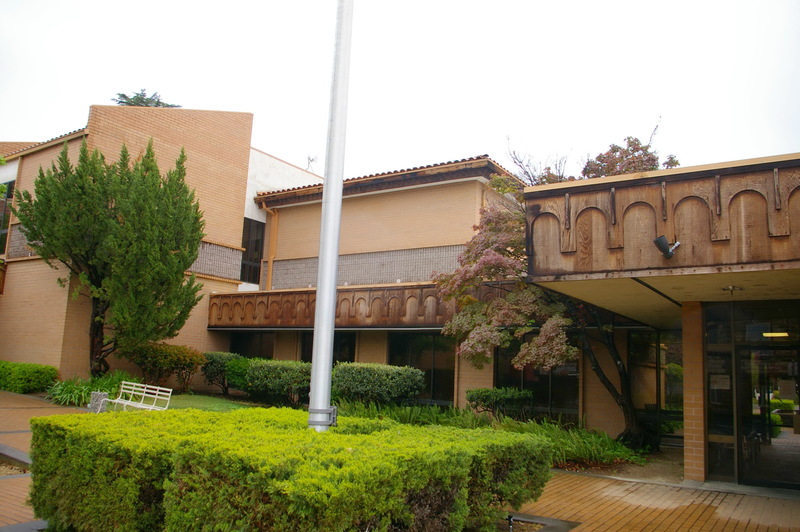 In 1994, the building was remodeled and expanded. 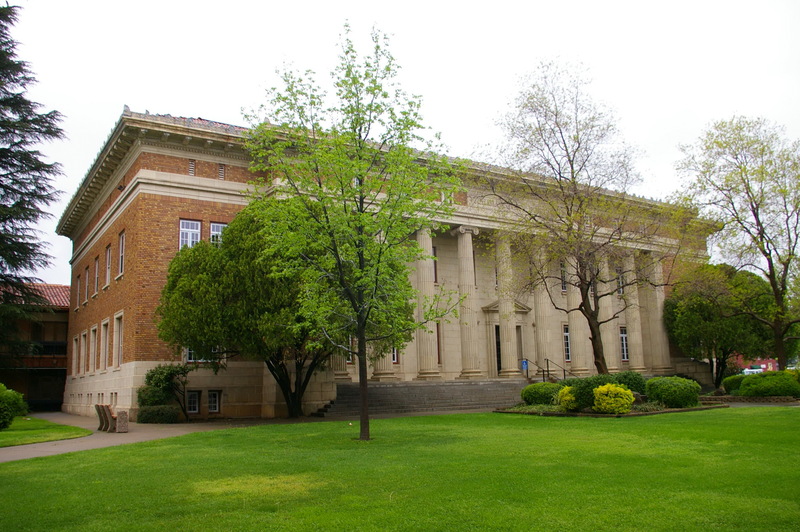 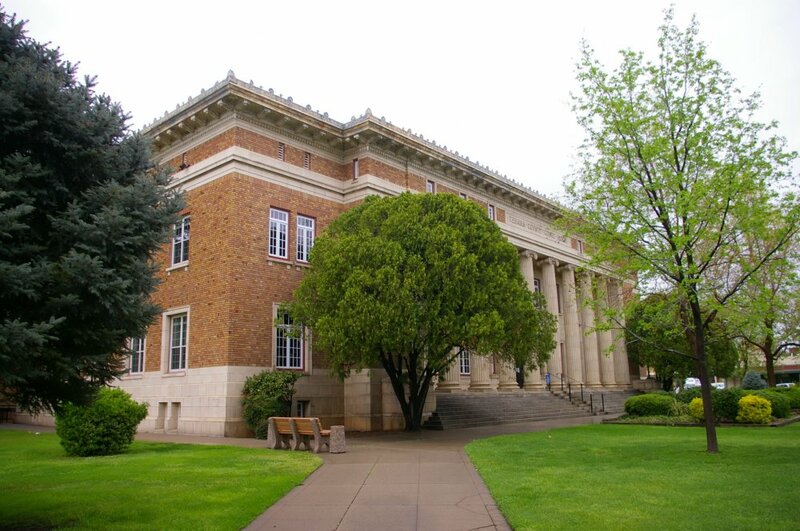 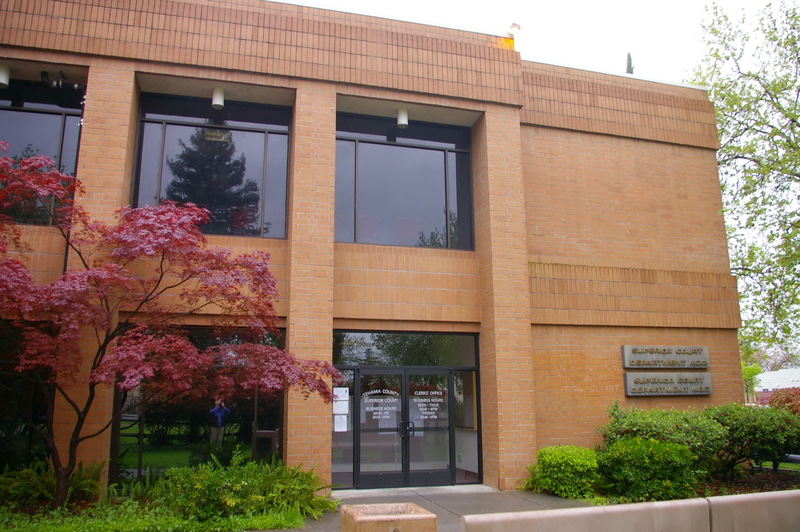 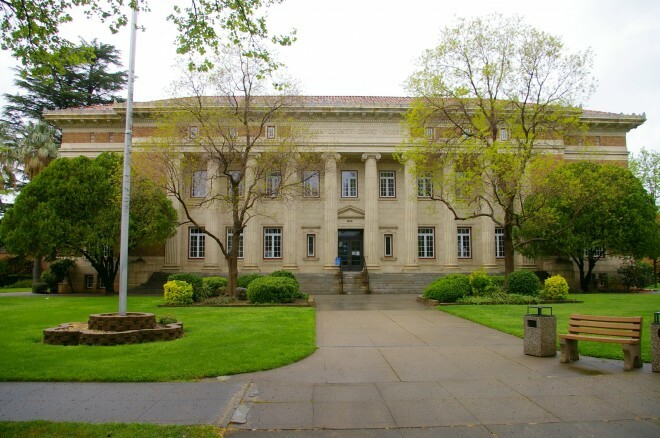 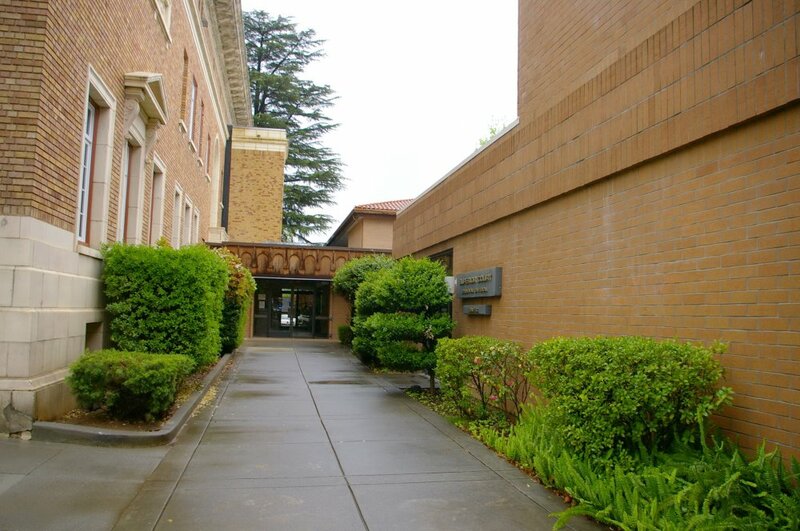 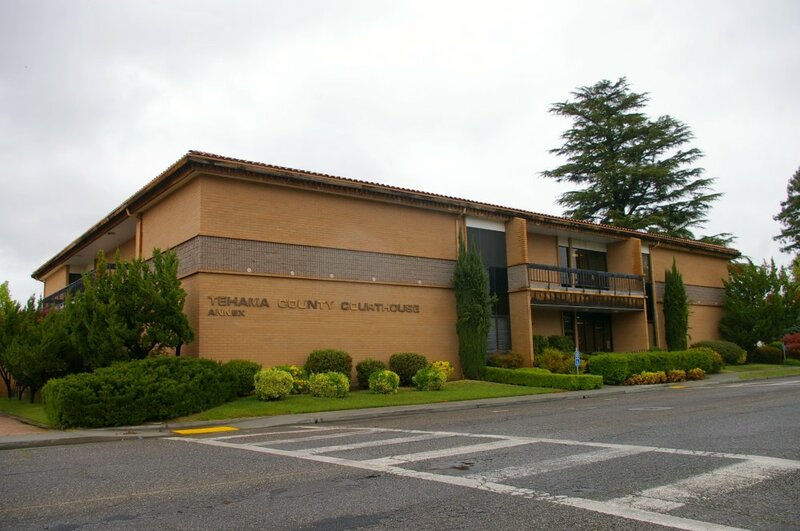 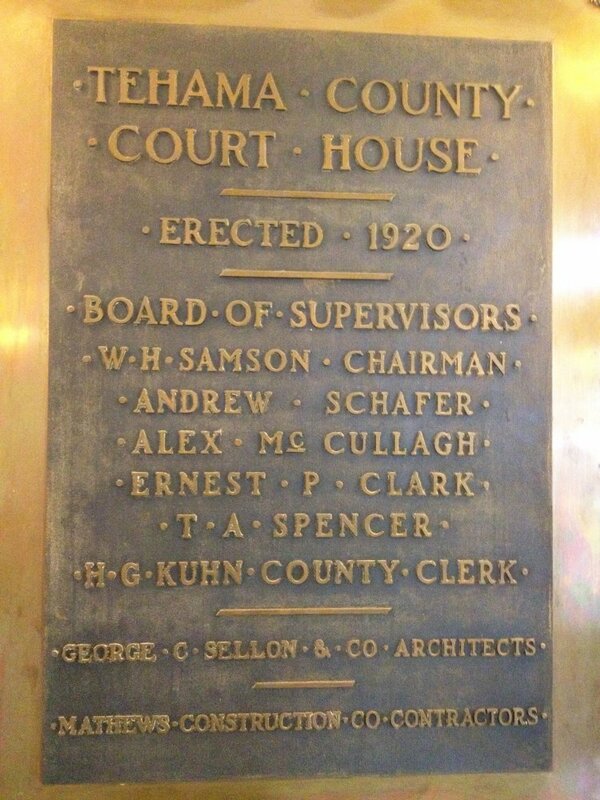 The architect was Lionakis-Beaumont Design Group and the contractor was Donald F Gallino, Inc.
See: George C Sellon of Sacramento designed courthouses in Amador County, Lassen County, Nevada County, Plumas County and Sierra County.